The great benefits of green tripe without the stink! Yes, that is right. These do not have the same strong smell as raw green tripe!!! 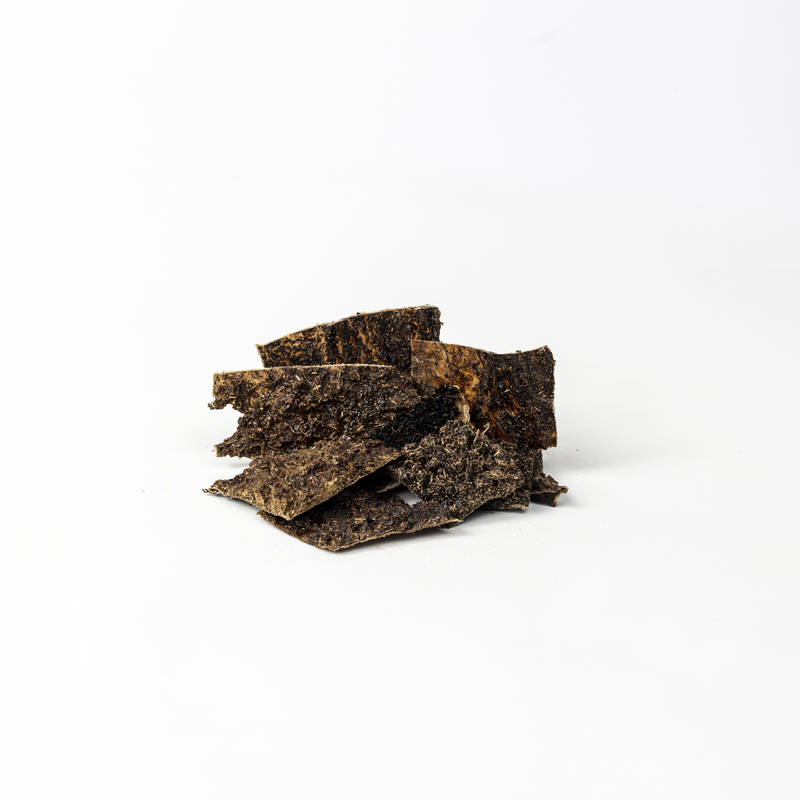 Our air dried treats are made without the use of smoke, preservatives, chemicals or high heat. Tripe is a great source to support healthy microflora in the gut–thanks to the Lactobacillus Acidophilus that green tripe is loaded with. Grass fed green tripe is also loaded with probiotics and digestive enzymes to support healthy digestion. This means your pup will gain the most nutritionally from their meals. Ingredient Statement: Air dried green beef tripe.